Touted as “A Complete Premium Smartphone with the Most Advanced Processor, Brilliant Display, Booming Audio and Intelligent Camera,” the G7 ThinQ has a lot of ground to make up to stay with the pack as Huawei, Nokia, Samsung and OnePlus threaten to storm ahead in 2018. 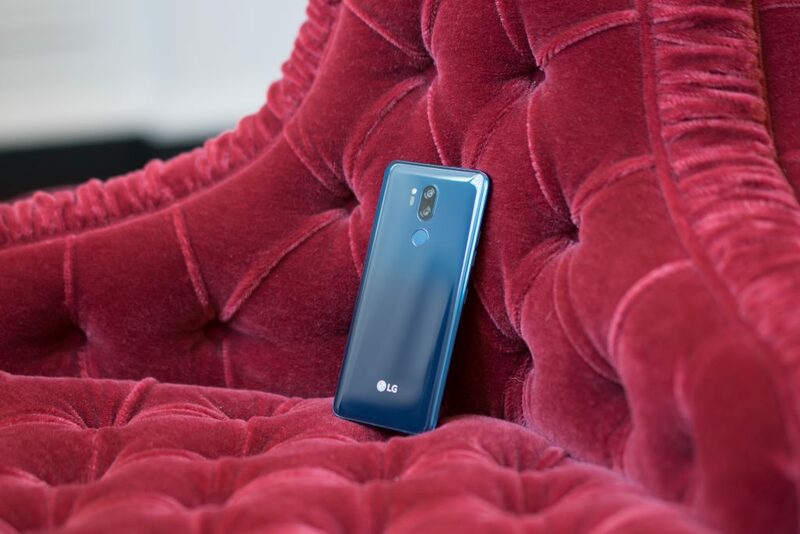 LG Electronics (LG) today introduced its latest premium smartphone, the LG G7 ThinQ, focusing on bringing useful and convenient AI features to consumers. Powered by the latest Qualcomm Snapdragon 845 mobile platform, the LG G7 ThinQ comes in two flavours, one offering 4GB RAM, the other offering 6GB of RAM and 64GB/128GB of internal storage respectively. Advanced users will prefer the 6GB version, especially if they want to run the most demanding tasks and apps with ease. Equipped with a bright 6.1-inch display, the G7 is nearly half an inch larger than its predecessor without increasing its physical handprint. 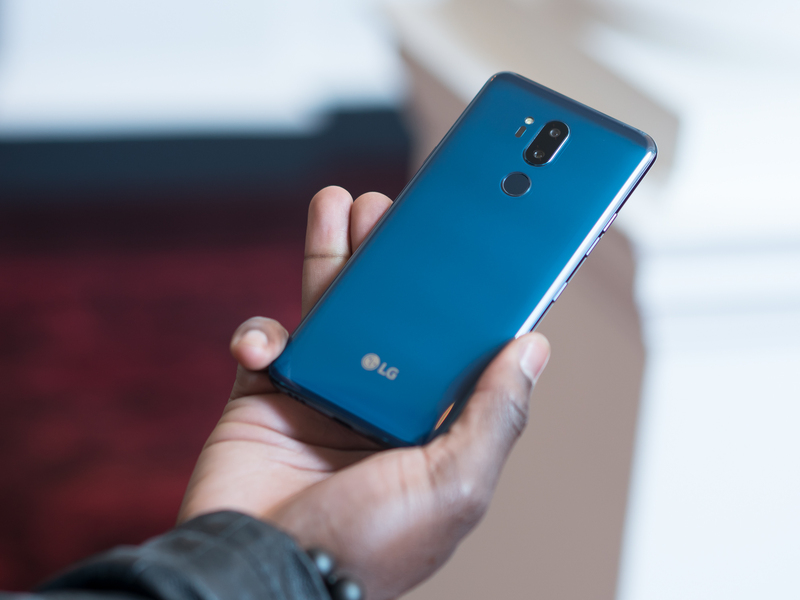 Sporting a new design aesthetic for the G series, the polished metal rim gives the LG G7 ThinQ a sleeker, more polished look, complemented by Gorilla Glass 5 on both the front and the back for enhanced durability. 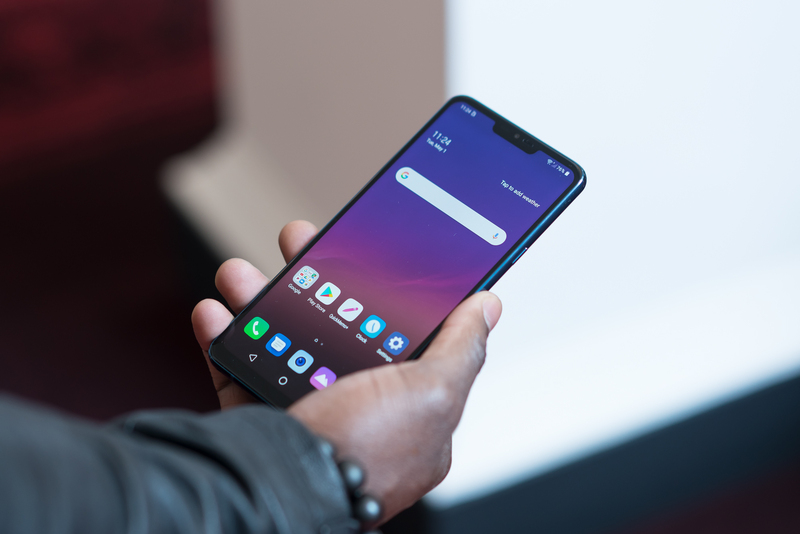 Again, rated IP68 for dust and water resistance, the LG G7 ThinQ was designed to withstand drops from 4 feet onto hard wooden surfaces and operate in extremes of heat and cold. 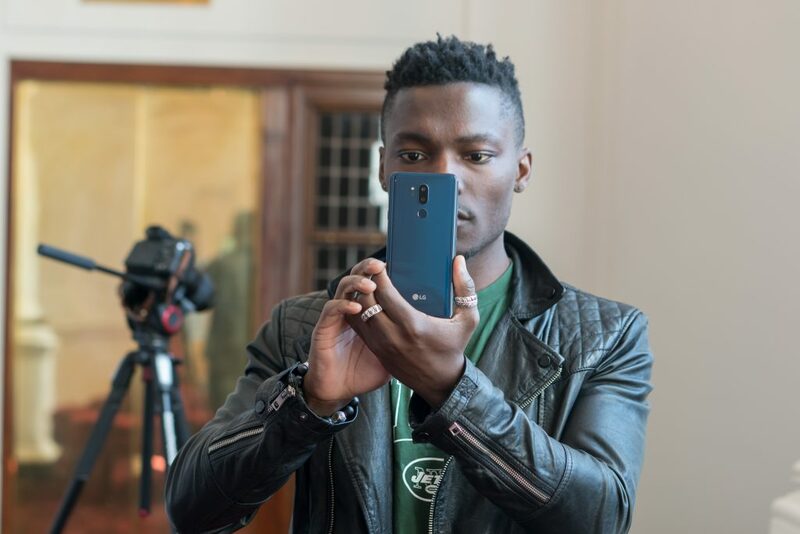 The LG G7 ThinQ has been upgraded with an 8MP camera up front and dual 16MP sensors on the back in both standard and super wide-angle configurations for higher resolution photos with more details. LG’s signature wide-angle camera can now capture even more of the landscape, it’s also great for group selfies, producing clearer results and look more natural when compared with previous LG phones. LG has further enhanced the AI features of the camera that first debuted in the LG V30S ThinQ. AI CAM now offers 19 shooting modes, up from eight, for even more intelligence-optimised shots. And users can improve their photos further by choosing among three other effect options if the one recommended by AI CAM doesn’t suit their tastes. Low light photography on the LG G7 ThinQ is improved with the new Super Bright Camera with images that are up to four times brighter typical of photos shot in dim light according to LG. Through the combination of pixel binning and software processing, the AI algorithm adjusts the camera settings automatically when shooting in low light. New to the G series, Portrait Mode generates professional looking shots with out-of-focus backgrounds. This bokeh effect, similar to those seen from most manufacturers now can be generated using either the standard or Super Wide Angle lens, giving users even more creative options. LG G7 ThinQ will be one of the first devices to get upcoming Google Lens features at launch. Google Lens is a new way to search using the latest in AI and computer vision. Available inside the Google Assistant and Google Photos, it can deliver more information on objects such as landmarks, plants, animals, books as well as identify text. Visit websites, add a business card to contacts, add events to the calendar or look up an item on a restaurant menu – all right from Google Lens. More details on Google Lens will be revealed at the next Google I/O. The new 6.1-inch QHD+ (3120 x 1440) display sports a 19.5:9 FullVision screen ratio and a bottom bezel, which is almost 50 percent slimmer than on the LG G6. Powered by LG’s new LCD technology, Super Bright Display, the LG G7 ThinQ can be viewed easily even under direct sunlight with its brightness up to an industry-leading 1,000 nit, displaying 100 percent DCI-P3 colour gamut. And depending on the type of content, the display can be set to six different viewing modes: Auto, Eco, Cinema, Sports, Game and Expert. In Auto mode, the phone automatically analyses the content of games or photos and optimises the display and power consumption. The user can fine tune the image even further by adjusting the screen temperature and RGB levels individually. The smartphone’s New Second Screen (either side of the notch) gives users flexible options when it comes to setting up the display to fit their tastes and style. The display can be fully expanded for a bezel-less look or it can be set to a more traditional style where the notification bar is completely blacked out. Users can even change the notification bar to another colour for a more personal effect. Continuing LG’s commitment to deliver unrivalled audio experience on its smartphones, the LG G7 ThinQ offers premium audio innovations. Available for the first time in the LG G7ThinQ, Boombox Speaker utilises the internal space of the LG G7 ThinQ as a resonance chamber to deliver double the bass of conventional smartphones for powerful “boombox” sound without the need for external speakers. When placed on a solid surface or box, the smartphone utilises its resonance chamber as a woofer to amplify the bass effect even more.